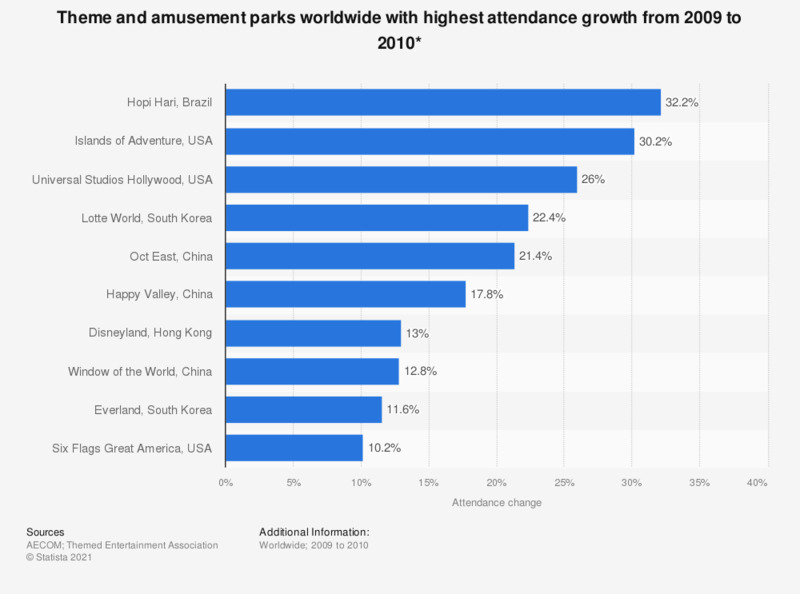 This graph depicts the ten amusement parks and theme parks worldwide with the highest percentage growth in attendance from 2009 to 2010. The attendance at Lotte World in South Korea grew by 22.4 percent from 2009 to 2010. * Percent changes for 2010 for certain parks are based on adjusted/updated figures for 2009, thus not directly comparable to published TEA/AECOM list for 2008/09. All facilities are gated (entry ticket required).